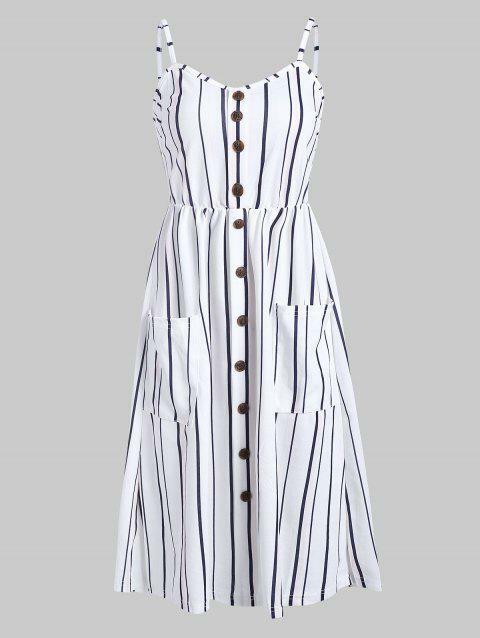 Add some new vibes to your striped closet with our sassy cami dress that features all over slim stripes to elongate the figure for a stylish look. It has a row retro buttons at the front giving an illusion of button-up style with two patched pockets and stretchy smocked fabric at the back for a suitable fit. And the A-line silhouette drapes so beautifully, making it a great piece for the coming season.